April 13, 2011  At least 116 bodies have been discovered in mass graves over the last week in San Fernando, in the northern Mexican state of Tamaulipas. Hundreds of people have come to check if a missing relative or friend is among the dead. The local Catholic bishop says gangs are terrorizing the area. April 1, 2011  The sale of milk, spinach and other leafy vegetables, not just from Fukushima but also from neighboring prefectures, has been banned. 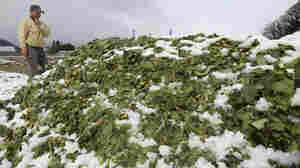 The Japanese Health Ministry found that radiation levels in these foods exceeds the legal limits for human consumption. March 29, 2011  As life near the crippled Fukushima nuclear reactor complex becomes increasingly difficult, Japanese authorities are encouraging people who live outside the mandatory evacuation zone to move farther way. 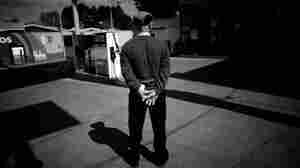 But some are choosing to put up with the hardships and remain in their homes. 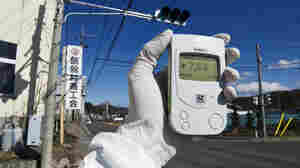 March 28, 2011  In dealing with the aftereffects of the earthquake and tsunami, Japan has had help from across the globe. 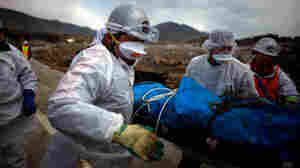 But the bulk of the response has come from the Japanese army and local volunteer groups. March 26, 2011  The tsunami swallowed some of the parents of students at Kama Elementary School in the coastal city of Ishinomaki. Several classes of elementary school students who were still waiting for their parents were left stranded in the school, which has become a shelter amid the ruins. March 23, 2011  In this Japanese city about 40 miles from the Fukushima Dai-ichi plant, the nuclear crisis is hampering the earthquake recovery and dominating life. Owing to radiation warnings in their towns, some 1,300 people now live in the gymnasiums, workout rooms and hallways of the Azuma Sports Complex. March 22, 2011  Sendai is the largest city in the area in northern Japan that was hit by the earthquake and tsunami. There are food shortages, gasoline is scarce and many buildings, including the main train station, are closed due to damage. Residents are trying to restart and rebuild their lives. 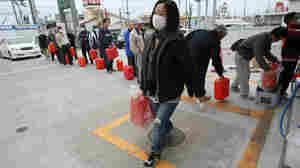 March 20, 2011  American military bases throughout Japan are being used as staging areas for disaster response teams. At Air Base Misawa, the work has been complicated by the loss of electricity and a Defense Department order that authorizes the departure of all U.S. military dependents from Japan's main island. March 18, 2011  Noda used to sit on the Pacific Coast near the top of the main island of Japan. 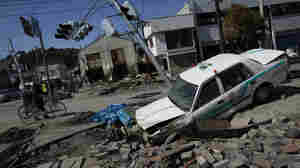 But the waves following the earthquake flattened much of the town. Its citizens now struggle with debris piles more than two stories high, no power and limited fuel. March 2, 2011  Libyan leader Moammar Gadhafi is blaming his country's uprising in part on al-Qaida. 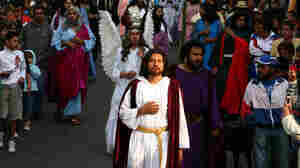 Gadhafi singled out the city of Darnah, in the east of the country, as a place that's in the hands of al-Qaida. While the city previously has had ties to Islamist extremists, it's being controlled by the same opposition forces that are taking power across Libya. March 1, 2011  For decades, people in Libya kept their frustrations and anger toward the regime of Moammar Gadhafi bottled up. In the eastern city of Tobruk, all of that is rushing out because of the uprising against Gadhafi. 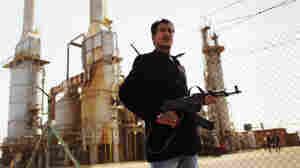 February 28, 2011  As unrest continues in Libya, rebels in the east now say they control most of supplies of the world's 12th-largest oil exporter. 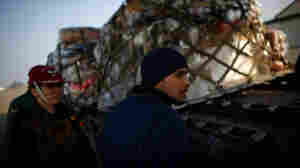 They've vowed to keep the oil flowing even if Col. Moammar Gadhafi clings to power in the capital.